This was a photo of opportunity while I was out and about this weekend. 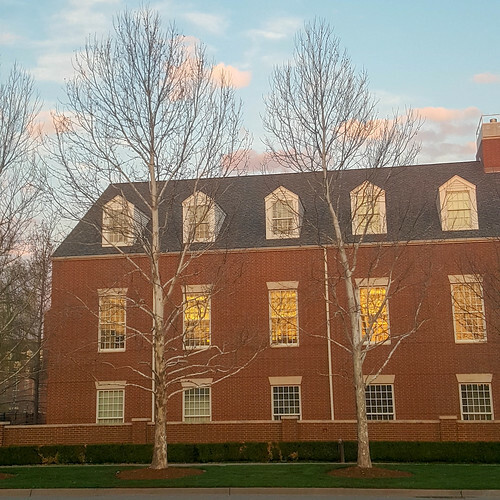 My intention was to capture the reflection of the sunset and the trees in the windows. The building is on the campus of an energy company in the city. The campus has the feel of a college with the brick buildings.